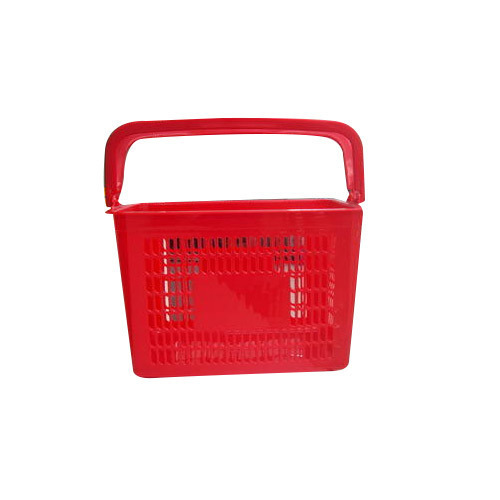 We provide Shopping Plastic Basket to clients at budget friendly prices in various shapes and sizes. Established in the year 2002 at Vasai, Maharashtra, we, Kraft Tech, are a highly acclaimed Manufacturer of premium quality Shopping Basket, Shopping Trolley and Display Racks, Display Counter and Showcase, Display Frames etc. The products offered by us are manufactured using premium quality raw materials and components in strict compliance with industrial standards of quality. These are manufactured at our spacious infrastructure facility and are well known for their sturdy designs, durability and resistance to corrosion. We make these products available to clients in a variety of sizes, shapes and colors at reasonable prices. The quality of our products is stringently checked before dispatch by a team of experienced auditors to ensure the optimum satisfaction of the clients. Our products are reasonably priced. The consistent delivery of premium quality products has made us a preferable firm for our clients.